Are you extremely manly? Do you eat four dozen eggs a day? Can you tear a phone book apart with your bare hands? Do even your muscles have muscles? If so, then prepare to ascend to a brand new level of beefy bad-assery with our Space Mutiny name generator! Simply select your choices from the form below and click the button to generate your name and description! Check out some of our other stuff! Just What Exactly Are These Extremely Manly Space Mutiny Names About? 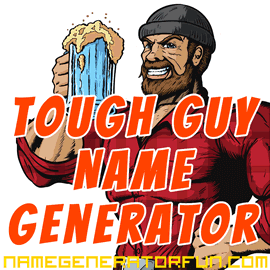 You can use our extremely manly name creator to either create a random super-macho alter ego, or one that's specifically based on your own first and last name. It's ideal if you're looking for an over-the-top character for a roleplaying game, an attention-grabbing screen name, or if you just want to add some muscle-bound manliness to your life! Our generator is inspired by the episode of Mystery Science Theatre 3000 in which Mike and the Bots watch the film Space Mutiny and ridicule a spaceship pilot called Dave Ryder for his manly weightlifter build and girlish screaming. Mike and the Bots invent a variety of super-macho names for Dave Ryder. We've tried to stay true to the principles of the original names, whilst adding plenty of randomness and some deliberately daft descriptions of what your tough guy likes to do, eat and hunt. The resulting names should be macho, funny, silly and just plain ridiculous, and we hope you like it! Special credit for this generator goes to our friend Oliver Hanbidge-Smith. Oliver is a man's man, the kind of guy who wrestles bears and eats tanks for breakfast. He also has a heart of gold and enjoys looking after budgies. 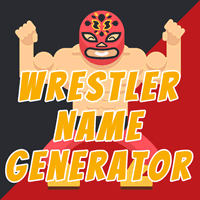 If you enjoyed this generator, you might also like our wrestler names, our roller derby names, our rap names, or our superhero names. You can also check out the rest of our site via the menu above. Disclaimer: this is a fan commentary page intended to encourage interest in Space Mutiny and Mystery Science Theater 3000. This generator is not an official publication and is not in any way affiliated with or endorsed by Space Mutiny, Mystery Science Theater 3000, or any of their licensees. Copyrights and trademarks for the film, TV show, articles, and other promotional materials are held by their respective owners and reference to them is allowed under the fair use clause of copyright law. This page is in no way intended to harm or undermine the market value of Space Mutiny or Mystery Science Theater 3000, rather to encourage fans to engage with and seek out those works. Last Updated: 29th December 2018. This website is for entertainment purposes only. Sometimes our tools create names that already exist in the real world. This is entirely unintentional and as result of chance. Please take all necessary steps to ascertain that your new name has not been taken by a real world entity before using it. The information contained in this site is provided on an "as is" basis with no guarantees of completeness, accuracy, usefulness, or timeliness. We bear no responsibility for the consequences of using someone else's name. We also bear no responsibility for the consequences of adopting our names in the real world, social or otherwise (your mileage may vary).